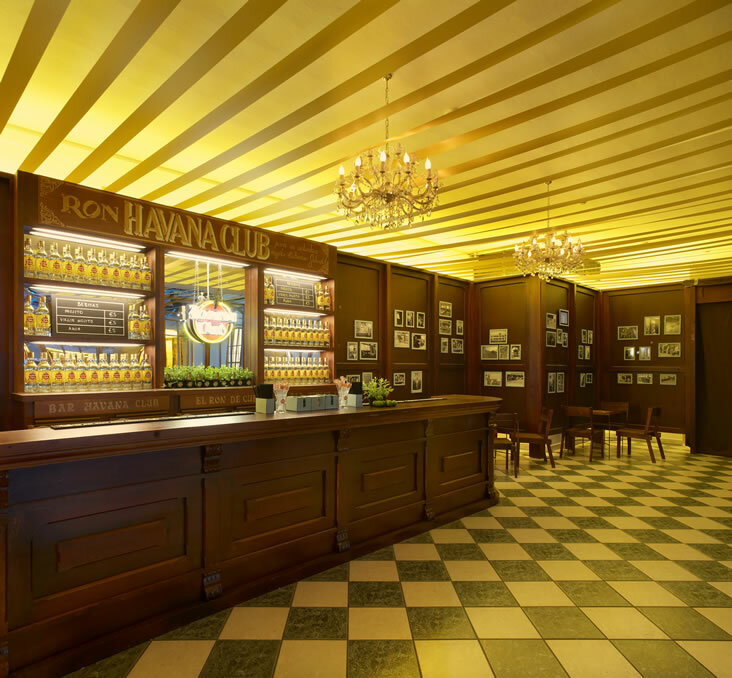 Nicholas Alexander worked with Campaign Design and M&C Saatchi Sport and Entertainment to create The Havana Club Mojito Embassy. 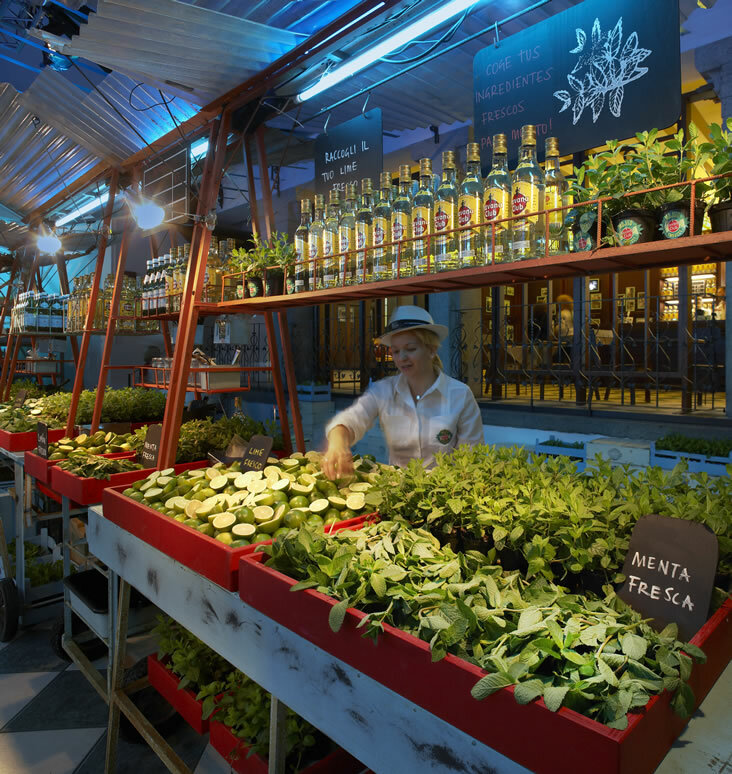 The Embassy’s ‘Mojito Market’ forms the heart of the bar, encouraging guests to gather their own fresh ingredients from street trolleys piled high with mint and lime. After stocking up on ingredients, a team of Havana Club bartenders guides them through the art of making Cuban mojitos. We were tasked with developing and fabricating a set of components so that on site, the install would create a seamless, whole experience. 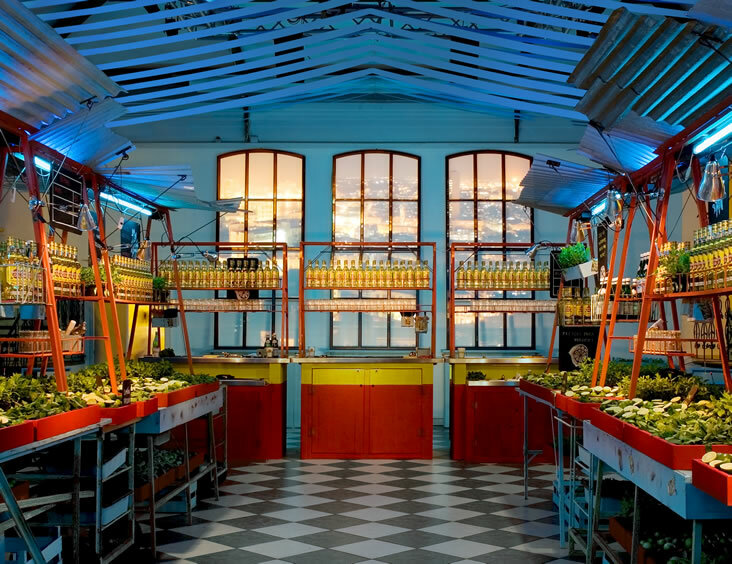 Given the particular atmosphere Havana wanted to create, we were able to employ our skills in specialist finishing techniques to create hand painted signage alongside distressed, stained timber joinery elements and bespoke steel framing. 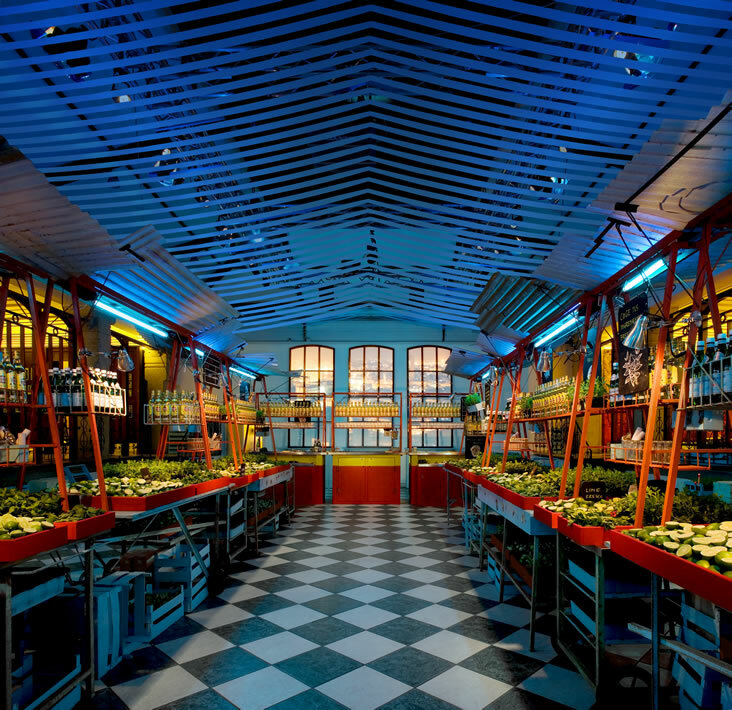 As well as the fabrication itself, we also handled the touring and associated logistics and the installation into different venues, each with their own challenges. On site our team were able to make appropriate adjustments whilst working with local crew to ensure that the Embassy became a part of the fabric of each building it visited. The pop-up event will be touring throughout Europe in the summer of 2013 after initial events in Milan, Edinburgh and Lisbon last year.